Thanks for the info, barbaraa, I'm hoping it will run a bit large! My Yoox package has not arrived. Somehow they took it into their heads to send it to my old work address, so I had to get it rerouted. That was exciting! Today is another warm 'spring' day, but since I'm inside where it's cooler, I'm wearing a sweatshirt. Nymphaea, I saw you pinned a bag to your wishlist ... it's gorgeous, very you, and I have no idea what it is! I have actually been thinking about a new bag myself, but I have no idea what. My Yoox order arrived tonight, and the only thing I'm keeping is that last pair of sweatpants I threw in to get free shipping! On the See by Chloe T, the broderie anglaise is beautiful! However, the shirt is overall too small compared to how I would like it to fit, the neck is very high, and strangely, even though I like pale yellow on me, somehow this pale yellow is wrong in a way I can't really explain. The sweatpants have multiple features I didn't know about ... one of the hazards of Yoox, the pix and descriptions leave something to be desired. They have a raw hem ... OK. But they also have a heavy stripe of glued beading on each pocket, and they aren't very comfortable. So they don't fit the bill of desk > errands > bed. I have other pants that will do only two of those, so I don't need these. That must be the black one with the silver colored H buckle. Officially it's a wallet, but I consider it a small bag/clutch. It is beautiful, almost can't stop staring at it. You can also wear it on your belt. There's also a bag version, maybe something for the future. Love to have good looking twins. Clothing wise there isn't much going on. Hope to find a black wide pants probably in the menswear department. There are a lot of wide pants on the menswear runway this year. 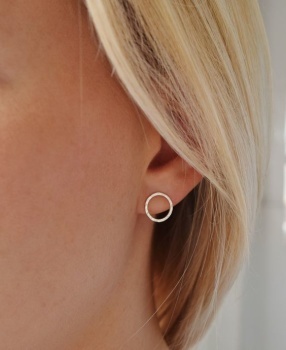 Also got my eye on a pair smooth shiny gold circle earrings, example see below (ps. this one isn't totally smooth). Love how active you're all are, I'm more lurking atm because fashionwise there isn't much to report. Love the color of your Brunello fashionista-ta. Beautiful earrings floodette. Fashion week fall/winter is on it's way. Let's see if I can find something interesting. ^ Ah, a beautiful wallet then! It would be great to have twins!! And thanks on the color. It's supposed to arrive on Thursday so I can see it in person It seems to be a nice subtle color ('raspberry'). I was at an indie boutique here recently that also has a restaurant, and they have some gorgeous bags. I was actually eyeing a structured mustard yellow ostrich bag--and I don't even like mustard! So I think this will be a place to start looking here at some point ... I want to get my Happy reconditioned, and was thinking of rotating thru my other bags. It is now time for me to be less active I think If the blouse works, it will be piece #6 for the year. and ta-ta, your Happy is still going strong after all these years? Mine has minor issues now (the paint in the closure chipped quite a lot), so I put nail polish over it. Thankfully the closure is black, so it is not obvious. fashionista-ta and Nymphaea like this. PS So nice, Nymphaea! One of the best things Hermes has ever done I think! What is this style called? The style is called 2002. I've read they brought it on the market in the seventies and have just launched it again. I think in the seventies it was a rather futuristic name at that time. 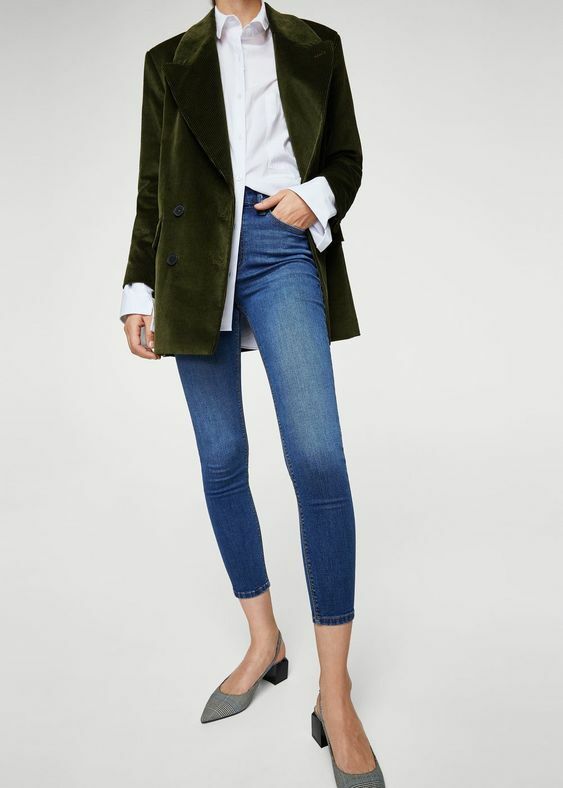 Reasoning behind these pieces: I am going to a wedding in a week and a half and I wanted a nice, black, short jacket that wasn't a blazer (because my dress has a v-neck and it looked weird - and also I am a coat/jacket fan and felt a black collarless jacket would be a great addiction); I was in search of new jeans for ages now - I have a pair of straight jeans and a very thin pair of skinnies, only; I wanted a really chunky knit and the cardigan had caught my eye; I wanted a collarless blouse (I have too many collared button-ups); the dress I just really liked. Nymphaea and fashionista-ta like this. ^ Love the back of that blouse!! whoa @Nymphaea that is a gorgeous clutch! and agree, it looks futuristic even now, so 2002 is definitely an exotic name back then (it's beyond 2000!). @barbaraa somehow your picture dont show up in my computer, but i love the idea of short, non blazer jacket for wedding! Hopefully I can find a new bag that I like as much as Nymphaea likes hers! Nymphaea, do you have an Hermes boutique at home, or do you need to travel to get to one? My blouse arrived today, and while it fits well, I'm just not blown away by it. I don't love it, and the fabric doesn't look as good in person as it did in the picture. It's a silk twill ... I was under the impression it was more satiny. The closure is a button and loop. I think it looks better open on me, but it's a silk loop made of the same fabric, and it sticks out into the opening, so you really have to close it. I think I'd rather put the money toward the purple silk sweater I want. So I'm taking it back to the boutique this weekend. Yes, in the pic it looked more like a satin, bummer. It's always a wait and see game if a product will be just as nice in real life as in the pic. 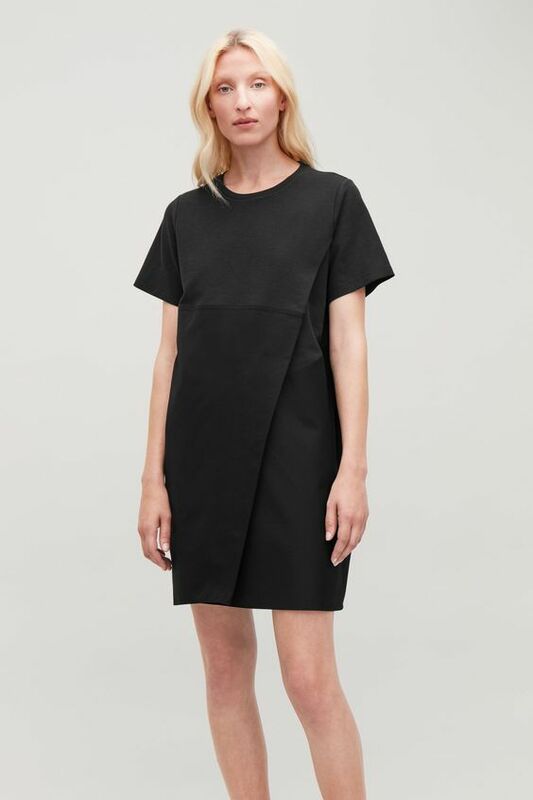 A while ago I saw a oversized maxi dress by The Row online and shortly thereafter I saw it in store. The fabric was rather stiff and not that comfy, you couldn't see it in the pic. I've got several stores about 2 hours drive from home, but they are rather small and I'm really most of the time an online shopper - more choice, no shop assistent breathing down your neck, can try it with different items from my wardrobe and don't have to make a decision right away. I've been to the flagship store in Paris. It was very crowded and therefore not that nice to browse. I would rather shop past opening hours all alone, that would be wonderful. Bummer! Maybe I can describe it? 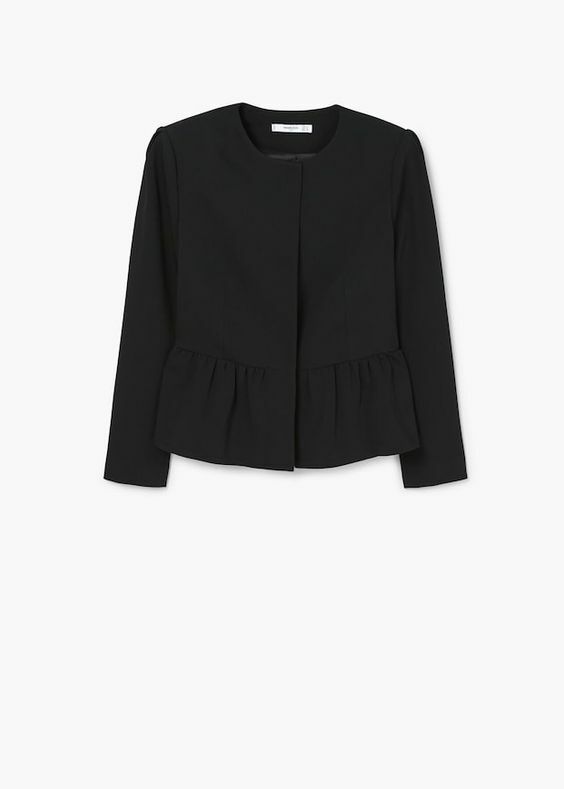 It's a short coat, collarless, front closure with hidden buttons, a peplum bottom... I will be able to use it elsewhere, too. ta-ta, I feel like your shopping karma has not been great! The back of that blouse is exactly what attracted me to it... I like my blouses to have some detailing as not to be too plain! I have some Brunello silk pants and I like that fabric, but admittedly my standards for a blouse are a bit higher. But even for sale money (40% off I think), I need to love it! @barbaraaa somehow i can see your pics from my ipad but not my laptop. strange! it is not on my to-buy list, but i have access to fuchsia ferragamo carla (7 cm pumps) with significant discount, and am tempted... fuchsia is my one of my color pop, and carla (as well as vara) is my preferred shoe model (comprises of 85% of my shoe wardrobe), so i know i will use it and i dont have anything in that color yet. so should i? I'd like to hear your opinions, which one do you prefer, bags or shoes? i will buy it online, so i cant touch it. but the color is confirmed and it is vino, my fave color that always brings me happiness. uffff tough question, but i would go with bag. my shoes are kinda boring (all ferragamo bow pumps), but bags make me excited!!! As I look at the picture again, I'm realizing my summer black jacket is similar! 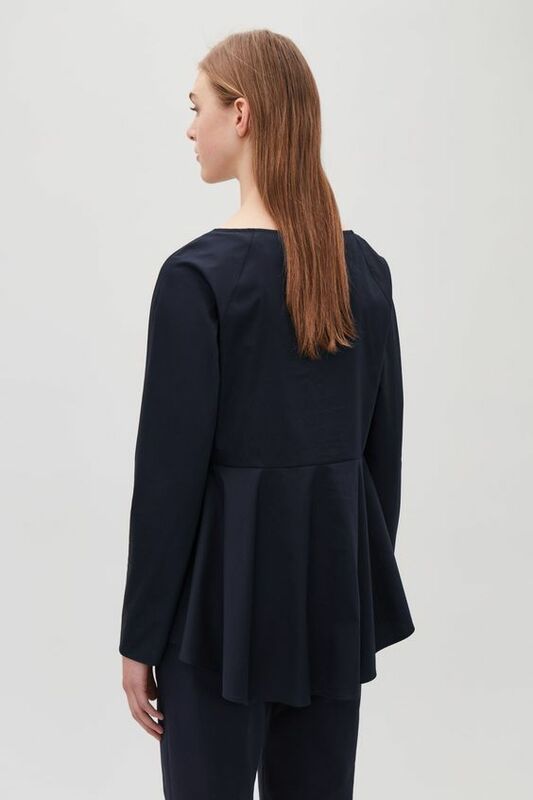 It has the peplum effect, but with a shawl collar and 3/4 sleeves. I don't know if my shopping karma is bad ... I've had some pretty good karma lately, like when I returned my damaged scarf, the person cared enough to find me another, which was in its original packaging still! And then when it got sent to the wrong address, the woman who got it both called & texted me, and let me come by her house to get it! When she could've kept it and Neiman's would probably never have figured it out. Also, in Yoox's Black Friday sale, the only real option for a Brunello sweater in my size had great detail, a nice color, and is better quality cashmere and all around nicer than my other one, for less $$$. 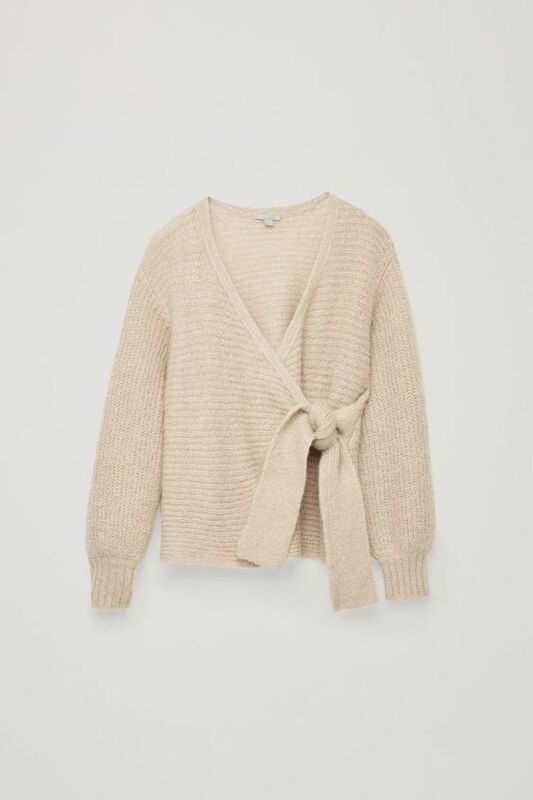 My size in the sweater I want is, btw, actually back in stock ... so hopefully I'll be able to get my hands on it. PS carine, while I like both, I think shoes are more exciting!